Grand Hyatt Seoul is offering a special musical package, "Cats Musical Package," for the summer break. 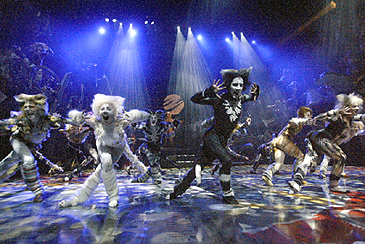 For couples or friends that wish to spend a relaxing yet rewarding time during the break, the "Cats Musical Package" suits them best. Musical Cats with its astonishing explosion of dance, marvelous voices and the most fantastic and innovative musical stage settings ever to appear on Broadway is now in Seoul. Now is the perfect opportunity for people to enjoy both performance and relaxation by using the musical package, which is available from June 11 to August 18. Package guests will receive two R-seat tickets to the musical, which is played at the National Theater of Korea, along with one night's accommodation at the hotel's ! grand king room, complimentary use outdoor/indoor pool and gym and more. The price is KRW 379,000 from June 11 to July 13, and KRW 439,000 from July 14 to August 18, exclusive of tax and service charge.